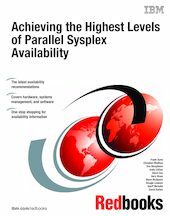 This IBM Redbooks publication provides an example of the "ideal" Parallel Sysplex environment (one that is configured to deliver the highest levels of application availability), and describes the features and functions used in this environment. For each function, we describe briefly what it does and what its benefit is, and refer to the appropriate implementation documentation. In this document, we discuss how to configure hardware and software, and how to manage systems processes for maximum availability in a Parallel Sysplex environment. We discuss the basic concepts of continuous availability and describe a structured approach to developing and implementing a continuous availability solution. This document provides a list of items to consider for trying to achieve near-continuous application availability and should be used as a guide when creating a high-availability Parallel Sysplex. Information is provided in recommendations lists and will help you configure and manage your IT environment to meet your availability requirements. This publication is intended to help customers’ systems and operations personnel and IBM systems engineers to plan, implement, and use a Parallel Sysplex in order to get closer to a goal of continuous availability. It is not intended to be a guide to implementing or using Parallel Sysplex as such. It only covers topics related to continuous availability.